These are the reviews for Sockety Farm Cottage. There are 18 reviews. Lovely comfortable cottage. Really friendly owners with a supply of fresh eggs. What more could you want. Location is perfect for visiting lots of different places as it is quite central. We will definitely visit again. We found it very relaxing in a lovely area. Ginny, the owner could not do enough for us and made us very welcome. A very comfortable cottage in perfect surroundings. It was everything you could want in and around the cottage. The hosts were very kind and helpful. A superb area for visiting places of interest, be it walking close to nature or by the sea. Would certainly recommend to family and friends and hope to visit again. We loved the cottage. 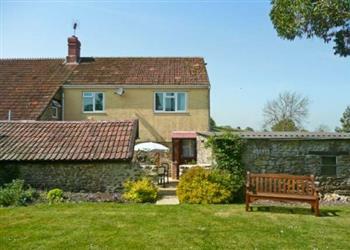 It is in a beautiful location in Dorset and the farm is great. We loved being so close to the animals and poultry. It was very quiet, the beds were particularly comfortable and the hosts were very friendly and helpful. We had a fantastic week, the cottage was beautiful, the location was very good for us and it was exactly what we needed. The bedrooms were very spacious and well furnished living room. The owners were very nice and welcoming. We will definitely be going back again. An ample sized cottage for a family of four in a very peaceful location, on a farm, in a small quiet village. The Cottage has a terrace area with a BBQ plus a small lawn area which is great if the weather is good and you want to be outside. The village has two pubs which are in walking distance via the footpath across the fields. I would happily book this place again. Being in the midst of a farm was very novel for us. The views from each window were very interesting. It is a terrific location to travel out and about from, with some lovely places to visit. My daughters particularly enjoyed that we were on a working farm, going to see the animals and even assisting to bottle feed the lambs. Lovely peaceful setting, relatively near large town for shops and takeaways. Owners were laid back and left us to our own space. Ideal location for visiting the area and lovely area to drive around. Fantastic house to return and relax in after a day exploring. a wonderful cottage in a beautiful part of the country. The owners did not mind our feeding the animals, that includes their dogs especially Percy the jack Russell. Would highly recommend this cottage to anyone looking for a slice of village/farm life. Would definitely stay here again. Friendly welcome to a homely cottage. Nearby pub for food when we didn't feel like cooking. what a wonderful place to stay, Loved the chance to feed the animals since i love sheep, enjoyed our visits from Percy the farm dog, definitely would stay there again, brilliant for lying on the lawn at night and star gazing, a beautiful area in secluded rural area, two local eateries within short distance, if eating at the Wynnard's gap take a camera as the views are spectacular, beaches within short distance approx 20 minutes. In all a lovely place for those seeking peace and quiet. It was in a lovely location very central to be able to explore different attractions. 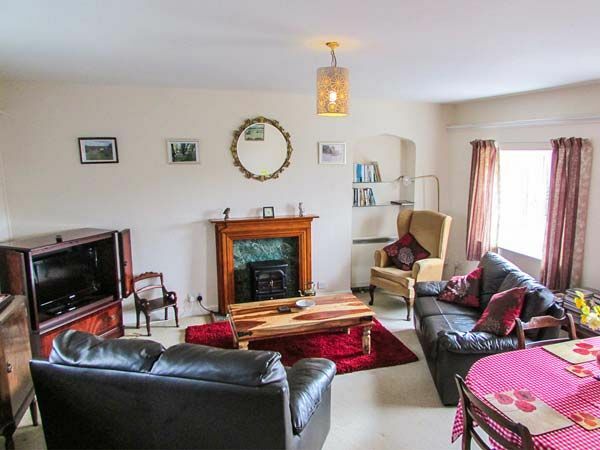 The cottage was very homely, clean and very well equipped. Will definitely be returning to this cottage. Lovely quiet rural area, but plenty of tourist attractions within easy reach. The owners were delightful and the house was very well equipped. All facilities worked well and the annimals were not too loud in the morning! I have never stayed on a farm and this was delightful! It was5 glorious nights. Sockety Farm is in a beautiful location. We particularly enjoyed staying on a working farm, waking up to the sounds of the farm animals was truly glorious. If you're looking for other cottages around Sockety Farm Cottage, we've got some cottages below which may take your liking. There are 28 cottages within 5 miles of Sockety Farm Cottage - and they have reviews too.